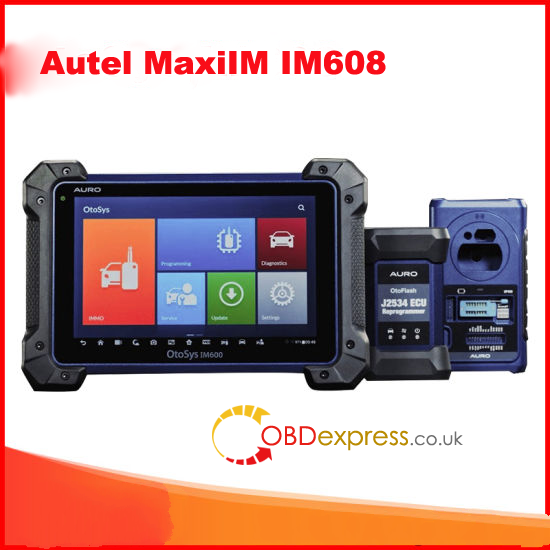 Autel MaxiDAS DS708 is multi-functions diagnostic scanner tool in auto diagnostic obd center. 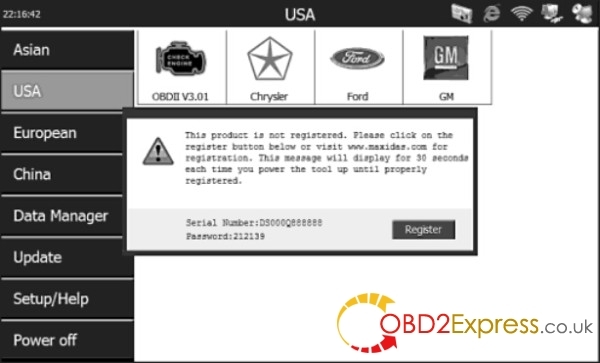 Maxidas ds708 obd2 scanner can be by three ways to Register Autel Maxidas DS708,the following is a detailed description. 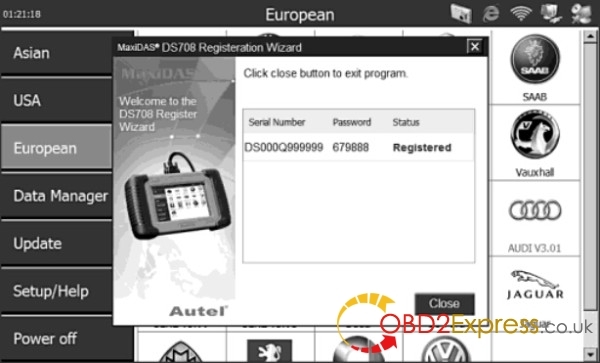 Open Autel MaxiDAS DS708 scanner and find out the Product Serial No. and Register Password in System/Help > about function. 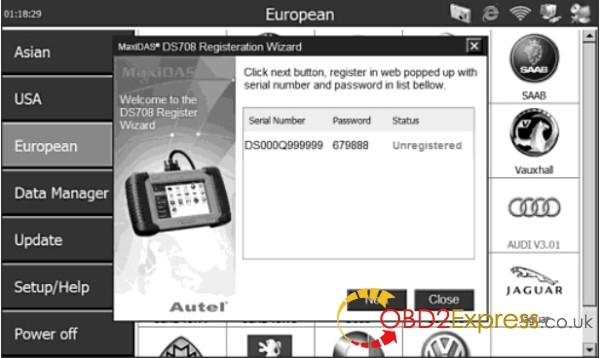 Visit www.auteltech.com and register with the serial number and password from DS708 scanner. 1. 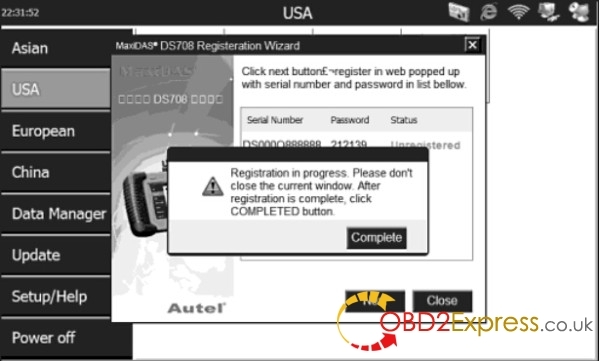 Click on Register button in the popup MessageBox and activate Register Wizard. to register your tool on Internet. 3. When you finished the registration on Internet, click on Complete in the Register Wizard. 4. Then click on Close in the Register Wizard to shut down the program. 5. Restart the scan tool to finish registration procedure. 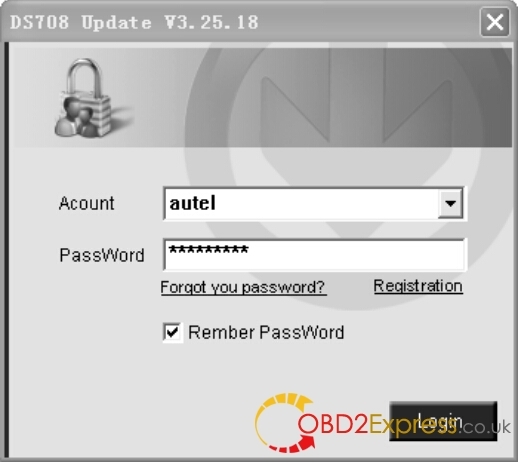 You may register the scan tool by two softwares. Insert the SD card into your computer and run the DS708 Register Wizard. Follow the step2 to step4 in “B. 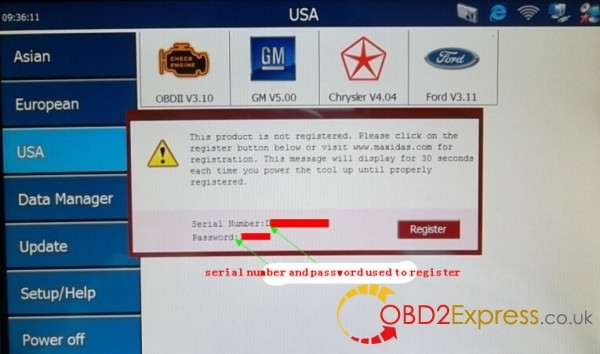 Register on the scan tool” to complete registration to SD card. is a Register option in the log-in window. 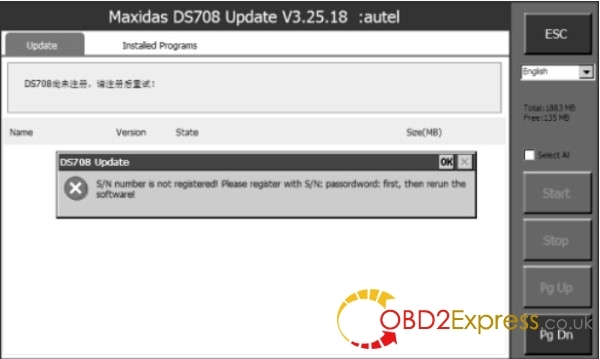 When click on it, it will automatically link to DS708 Register Wizard. Follow the step2 to step4 in “B. 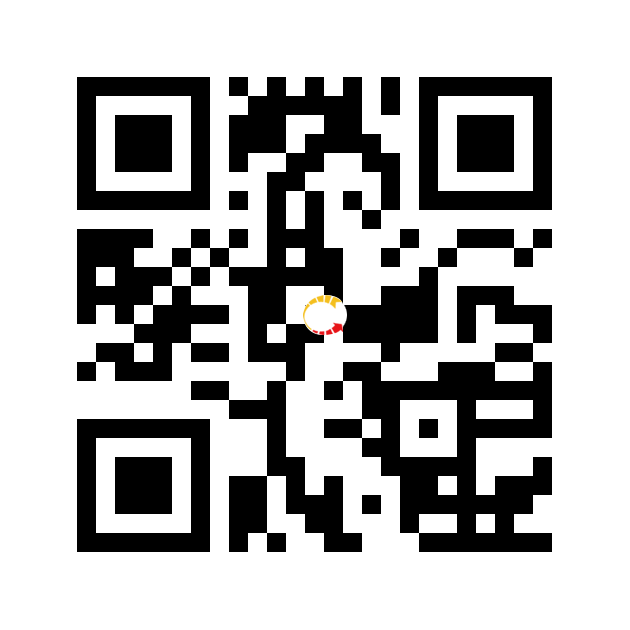 Register on the scan tool” to complete registration to SD card.